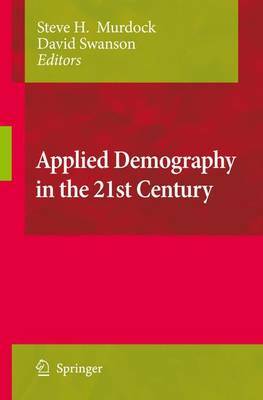 The topic of Applied Demography is clearly evolving as its practitioners become involved in the emerging trends of the Twenty-First Century. This book derived from the first post-2000 national conference on Applied Demography, held in San Antonio, Texas, January 7-9, 2007, at The University of Texas. The conference presented a unique opportunity and this resulting work provides a cross-sectional view of Applied Demography and an evaluation of its likely future.